You know Line Skis, but do you know the person who designs every single ski that Line comes out with? 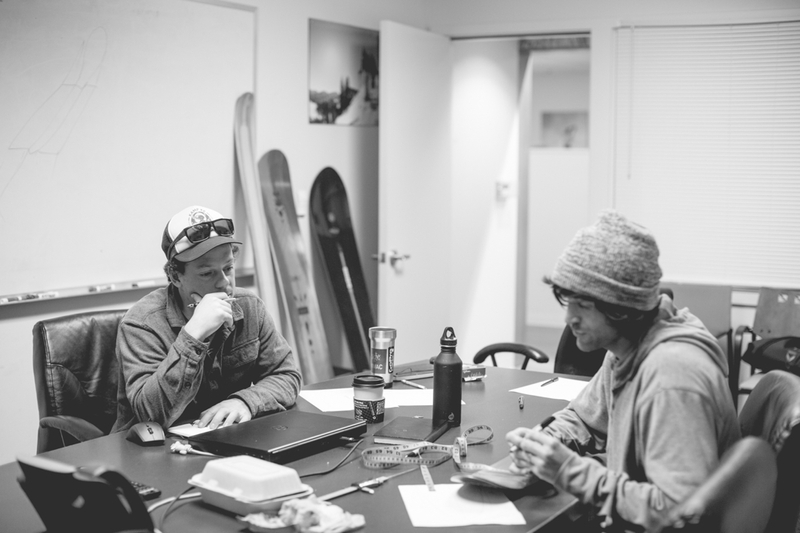 His name is Jed, and he is one of our favorite people in the ski industry to talk to (we went on the record about this two years ago in our SIA Awards), because he is passionate about skiing and ski design. He also happens to be really smart and candid, and someone you’d actually want to go skiing with. 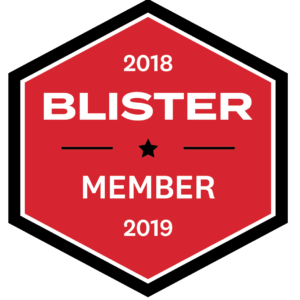 BLISTER: Tell us a bit about your background: when did you start skiing, and where? JED: I started skiing when I was two years old, on injected-plastic skis from LL.Bean. 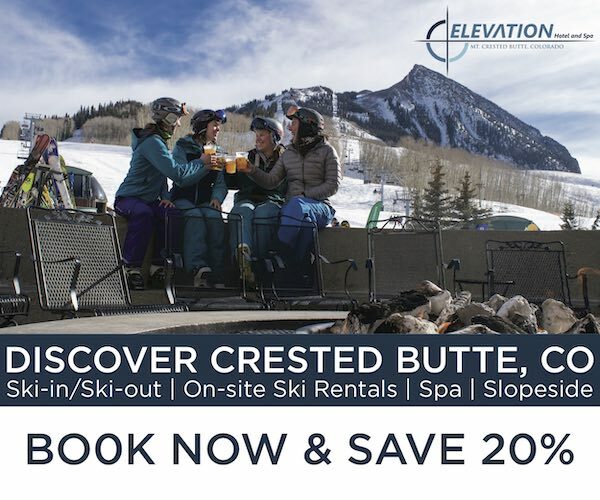 Growing up in north-central Vermont, I spent most of my early days skiing at Stowe and Sugarbush, and took a yearly trip to Colorado—usually Beaver Creek. 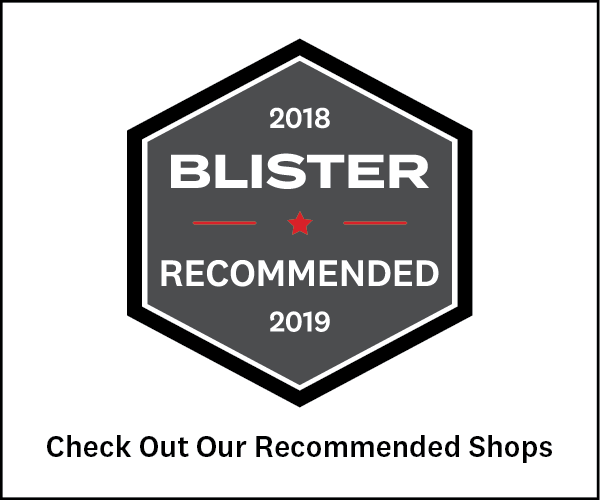 BLISTER: You raced, correct? Till when? 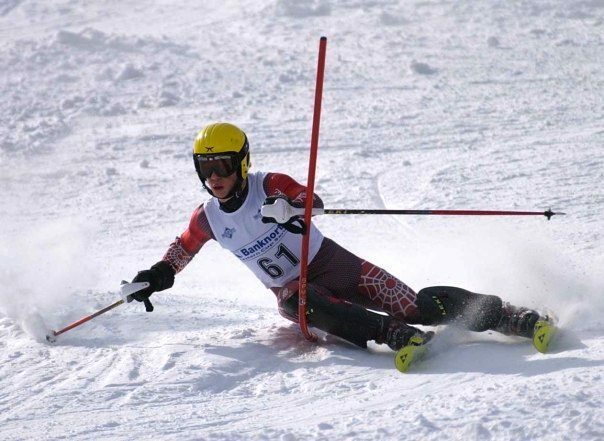 JED: I started racing when I was 10, with the GMVS ski club at Sugarbush. A young Jed Yeiser, banging gates. I loved skiing before I started racing, but really got hooked when I started at GMVS. I raced through college (I went to Middlebury), then started doing beer league races in engineering school. I still get up to Alpental once a week or so to do City League races here in Seattle. 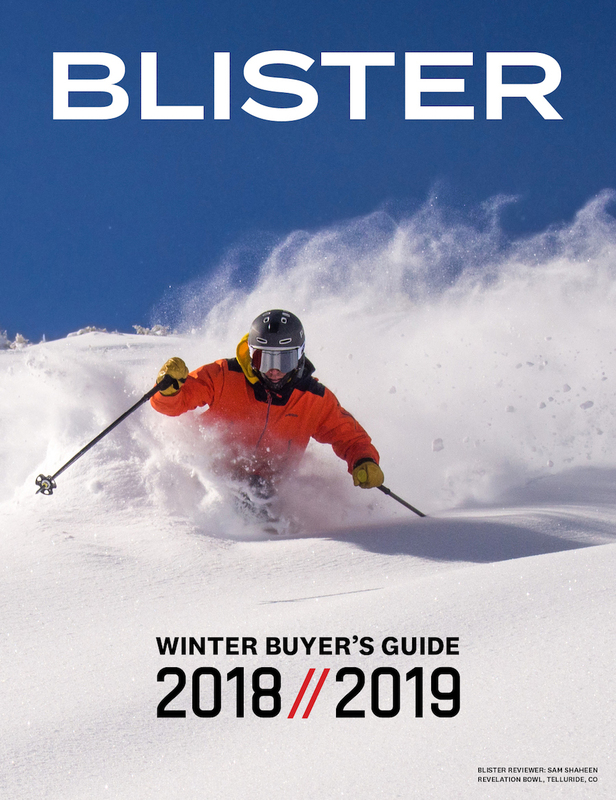 BLISTER: How old were you when you first started thinking about designing skis? And did you ever build any of your own, or were you more of a design doodler / drawer than a builder? 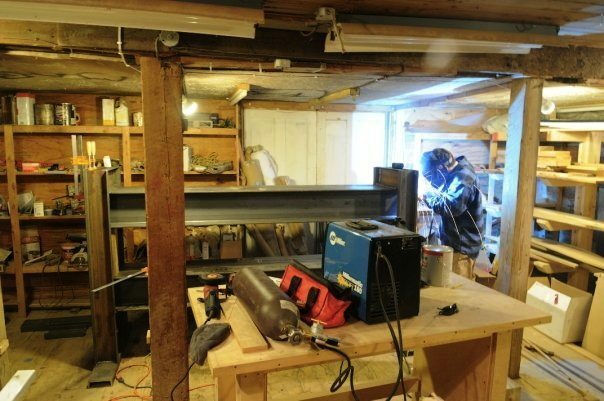 JED: Que long story: I’ve been a tinkerer for as long as I can remember – there are very, very few things that I didn’t try to build as a kid, including skis. The skis I made as a kid were… well, basically 2×4’s that I cut with a jig saw. As a teenager, I’d take every pair of skis I broke and cut them up in my shop at home. As soon as I started to develop an understanding for what goes into ski design and manufacturing, I realized that it was WAY over my head, and I started looking for simpler products that had similar requirements. I landed on longboards, and spent the next 3-4 years playing with different materials and constructions until I felt like my skills as a ‘craftsman’ were ready to take on the challenge that skis presented. At that point I was in college and didn’t have much time to dedicate to shop work, but every vacation I had I was back in my barn building jigs, fixtures and a ¾ ton press. Jed Yeiser, at work in his shop. Turning my shop into a place where I could build skis took years, partly because I didn’t have as much time to spend on the project, but mostly because I’d get 80% through building a jig or fixture and realize that there was a better way to skin that particular cat. So I’d start over. The first skis I started to build were based on a friend’s 183 girl’s Nordica GS skis. I basically took the sidecut from those skis and bumped it out to 95mm underfoot. I used bamboo flooring for the cores, and P-Tex sidewalls. As I was putting the finishing touches on my press, I got my job as a design engineer at K2, and progress ground to a halt. So I never actually built any skis in my shop, but the press, cores, and jigs are still at home waiting for me. BLISTER: Was your first design job with K2? Or K2 and Line, or K2 then Line? JED: Well, both, kind of. I work for K2 Sports, which owns both K2 skis and Line skis. I am the only engineer that works on Line skis, and one of three that works on K2. While I do design work for both brands, the design and development process for each brand is unique, and we put a great deal of effort into ensuring that they remain separate entities. 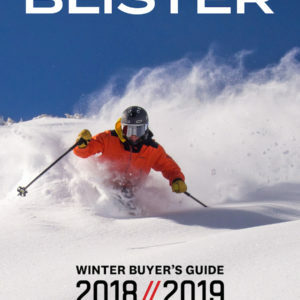 BLISTER: What are some of the skis you’ve worked on, and what are some of your favorite skis that you’ve worked on? JED: I’ve designed every Line ski that’s come out since 2012. I’ve focused on the Men’s All Mountain skis for K2, but also dabbled in some of K2’s freeride skis. As far as my favorite projects, the Line Influence 115 (now the Supernatural 115) will always be special to me, because it was the first ski that I designed that I really loved. Since then, the Line Supernatural 108, K2 Bolt, and the new K2 Annex 118 (Seth Morrison’s pro model) have been added to my list of favorites. BLISTER: Part of your job is to work with K2 and Line athletes, and I assume that some of them are easier to work with than others. Are there any collaborators who stand out? JED: Working with athletes is awesome, but some are definitely better to work with than others. From a development perspective, I’m really looking for concrete, concise feedback on skis. I’ve given some athletes skis and gotten feedback like ‘Yeah, I like the ski, they’re great’, which gives me absolutely nothing to work with—they liked the ski, that’s about it. But what about the ski did you like? And why? Is there something else that the ski could do that would help? What aspects of the ski are working, and need to be preserved as we move through the development process? I’d much rather have an athlete tell me how horrible a ski is—and exactly why that ski is horrible—than have them simply tell me that they ‘liked the ski’. I’ve been lucky enough to work with two of the most articulate, driven, and invested (albeit— and I’ll just say it—particular and visually-oriented) athletes out there: Eric Pollard and Seth Morrison. Both of those guys give me immediate feedback that I can work with, and they’re incredibly invested in the final product. Both Eric and Seth have an incredibly clear idea of what they’re looking for, and they can be brutal when you miss the mark. But they’re very clear about how and why the skis you sent them aren’t working. Eric in particular is incredibly involved. Every ski I’ve developed with him begins with a cardboard cutout he makes, and hours of phone calls and in-person meetings. Jed Yeiser and Eric Pollard, figuring it out. He’s also one of the most genuine, fantastic people I’ve had the good fortune to come across. So if it comes down to giving the nod to any one athlete over the others, Eric gets that nod without question. It would stun me if anyone who’s worked with Eric at another company didn’t feel the same way. That was an awesome read! Thanks! Great read, Jed just wondering how you would compair the prophet 98 to the supernatural 100. Thanks for your time. Overall the Prophet 98 and Supernatural 100 are reasonably similar. That said there are a few key differences that set the skis apart. When I was designing the 100, the focus was to bring a bit more versatility and energy into the 98 without drastically altering its performance envelope. The biggest difference between the two is the sidecut radius profile. Both skis have our progressive 5-cut sidecut, but the Prophet 98 is a bit more progressive than the 100 (the sidecut radius at the tip/tail of the 98 gets shorter more quickly than it does on the 100). As a quick aside, you’ll notice that the reported sidecut radaii are very different on the two skis. This is because the reported sidecut radius on the 98 is actually the SHORTEST radius in the ski, and the radius on the 100 is the AVERAGE sidecut radius. For obvious reasons, we’re now reporting the average sidecut radius. The less progressive 100 will be slightly more stable and versatile while the more progressive 98 will initiate and exit turns slightly quicker. It’s also worth noting that the less progressive tip of the 100 will not catch snow as readily as the 98 which makes it significantly more precise in variable snow. Without getting bogged down in nitty gritty details, the overall flex, flex profile, and layup of the skis are nearly identical. The 100 is a slightly tapered ski with both tip and tail rocker whereas the 98 has no taper and only has tip rocker. The addition of a bit of taper and tail rocker makes the 100 a bit more versatile and confident through variable snow conditions. We also added an elastomeric sidewall (Shockwall) to the Supernaturals to make the ski a bit damper and more stable – the difference between ‘Shockwall’ and a conventional sidewall is most noticeable on firmer snow when the ski naturally wants to vibrate at higher frequencies. The result is that you maintain better edge contact and control with the elastomeric sidewall over a conventional ABS or UHMWPE. That’s a fairly general overview and comparison of the two skis. Is there a specific performance or construction comparison you’re looking for? Thanks for the very thorough response. I Love my 98s to the point of just picking up another pair as replacements for themselves. The information you provided is spot on for what I was looking for, I’m an EC skier and my 98s are excellent in all but bulletproof conditions, not much really is though. I do find some deflection in heavy chop, that would be a nice added feature with the 100. My big concerns were that the 100s would have become softer as the Influence 115 did in the last redesign model, not that I think the 98 is super stiff. I hope to get on a pair this winter for a demo at some point. Thanks, Jed, for the great insights. I ski the Sir Francis Bacon and have noticed two recurring themes in the various forums. 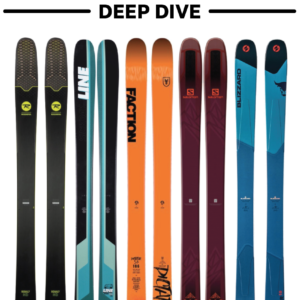 First is size selection, which is confusing because not only does the ski have ample tip and tail rocker, but they also measure very short. I realize that Line probably measures along the bottom (which takes into account the rocker curve), but K2 skis typically are true to the stated length (apparently measured along the top). This can be incredibly frustrating, because I originally purchased the 172cm Bacon, found it only measured 168cm, and then had to purchase the 178cm, which measured about 172.5cm. However, if I had bought the similar Shreditor 102, the 172cm would have been the correct size and the 178cm would have been a little long. What’s up with that? Secondly, mounting on the SFB’s has gone from very simple (the Midsole Center line) to Center, Eric’s Choice (-20mm from Center) and Recommended (-60mm from Center). Due to some ski shop miscommunication, my first pair were mounted halfway between Eric’s Choice and the Recommended line (-40mm). They were very stable and rode through crud, etc. very well, but I had to get over my tips to make quick turns in the bumps or else they felt a little sluggish (I’m an old schooler so no worries). But I honestly wouldn’t advise going further back to the Recommended line, and just got a replacement pair that are being mounted at Eric’s Choice in hopes they will be a tad more nimble without losing that stability and confidence. Any insights as to why Line is “recommending” a mount that seems so far out of the sweet spot? By the way, the ski is incredible so you and Eric did an absolutely amazing job. It makes every condition feel the same with no need to change speed or technique. I often encounter multiple conditions in the same run, and yet powder, crud, slush, etc. all get smoothed out like corduroy… only better (because I hate corduroy). And anyone who whines that the SFBs can’t handle hardpack either needs to get them tuned or take lessons back East because they are icepicks. Great article. I am very interested in your opinion on why you think the Kastle MX design is dated. Is the design dated overall or is it because it’s it performs in different conditions than the Supernatural. The Kastle MX doesn’t have rocker. I don’t think that it needs a huge rocker profile, but the addition of a bit of tip rocker would greatly improve the ease and forgiveness of the ski when initiating turns and improve its float in deeper snow. At 98 underfoot, it’s really a ski aimed at doing ‘everything’; a bit of tip rocker will help it do ‘everything’ a bit better. If you look at the MX 98 against the Experience 98, both are fantastic carving skis, but the experience is slightly more versatile due to the tip rocker. To be very clear, the MX 98 is still a fantastic ski that I love – I just think it could be slightly updated to expand its performance envelope. That make sense? Thanks for the follow up on ski design. I agree some early rise would help the wider Kastle MX’s. I wanted to see what you would recommend for me to use for,80% powder and 20% groomer in Utah and Wyoming resorts mainly. I would be using either my Kastle MX 83 or FX 104 for groomers or cut up conditions. I’m 6′ 210. Nice! Great to read and catch up on the work of Jed! (Been a Jed fan since way back). Awesome….just awesome. But no surprises there. Any differences between the 2016 sick day 110, and the 2016 Pandora 110? weight , construction, stiffness?